Have you ever felt like you were the only one aware of something extremely dangerous? How about one of those situations where a person you really cared about was doing something you knew was going to hurt them, their family, or someone else? Naturally, you tried to speak with them rationally (hoping they would see reason); you lovingly entreated them; and you even went so far as to make ultimatums but, for better or worse, they had their own decisions to make. You couldn’t do anything. It was a desperate and powerless feeling. All you could do was pray. Poetry has the uncanny ability of communicating in the most vivid colors the feelings and pictures we see in our mind’s eye when our emotions are at their height. Tennyson’s poem “The Lotus Eaters” based on book nine of Homer’s epic tale, The Odyssey, describes the journey of Odysseus’ men into apathy after casually consuming a plant given to them by an island’s inhabitants. It’s a little known part of Homer’s story but the message is pretty significant. We still see the Lotus Eaters in our world today. Weary the wandering fields of barren foam. In Homer’s story, Odysseus saved his men. He was alone in his understanding of what had happened and the fact that his men were living in a death-like stupor no longer caring for their families or homes. He pulled them back to his ship where he chained them on deck, crying and fasting, until their minds and bodies were free of the lotus flowers’ effect. Sadly, a full-scale intervention like this is nearly impossible today. How often are we argued out of our position against a harmful practice because “what’s right for you, isn’t right for me.” Relativism is rubbed in our faces as people, even those we love, make their choices without regard for anyone’s happiness but their own. (Ironically, the selfish choices we make in an effort to secure happiness result in total loneliness. A sad pay-off but appropriately due the one who lives for self alone.) Either what’s true is true for everyone or it isn’t true at all! In the mind of the dude tripping out on lotus leaves, talk of Jesus or anything important would have to sound like idiocy; he may even get mad at you for trying to stir him up. The same is true of people we’re surrounded by every day consuming messages that don’t align with the absolute Truth of God’s Word. Are we one of those that says, “man, you’re way too excited about this stuff… chill out” or are we fully awake and passionately recognizing what’s important to God (those things that are “spiritually discerned”)? I guess what I’m really asking is, do we know the Truth or do we just think we know? There’s a BIG difference. Death. That’s how heavy and final a reality the truth of this is. What are you willing to sacrifice? If we’re not willing to give everything, (and you may think I’m going out on a radical limb to say this but…) we’re not alert enough. We need to get back to the wakeful state of carefully assessing all our actions in light of scripture. We have a motive for everything we do… we’d better know what that is; it matters to God. Do you know how many decisions you make in a day? HUNDREDS. What are we thinking, doing, hoping, watching, reading, and planning? Who are we living for if these decisions told our life’s story? And, just so you know, THEY DO. This all sounds intense and may be more than you want to deal with but, as always, the best choices aren’t the easy ones and the most valuable gifts in life require a ton of work to attain – if it was easy, it wouldn’t be valuable, would it? (“…continue to work out your salvation with fear and trembling” – Philippians 2). If we get so exhausted from working to do things right that we just want to quit because it’s so ridiculously impossible and hard, TURN ON THE COFFEE! Why do you think Paul describes the Christian life as a RACE? If you burn out, you don’t finish and you certainly don’t win. How can anyone who truly understands the Gospel of Jesus Christ NOT live on the edge of their seat working constantly to become more like Him, trying to shake awake as many people as we possibly can along the way? 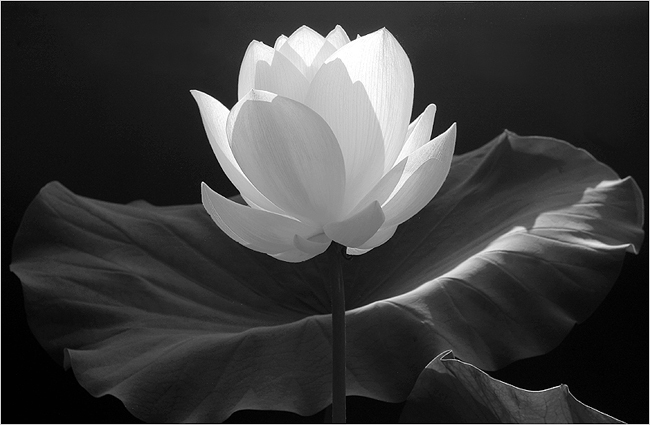 The lotus leaves, whatever they represent in our lives, put us on the sidelines; they disqualify us. Like an Olympian athlete on drugs, you can kiss that gold medal goodbye. Forget heaven, forget eternal life, and FORGET being close to Jesus, who made us (are we forgetting? do we care? )… like the story of the Tortoise and the Hair, we’ll lose if we sleep through the time we’ve been given in this life, regardless of how gifted or sure of ourselves we are. So which category do you think you’d be in if your story was immortalized in poetry today? Does the reasoning and loving entreaty you’ve read here sound like idiocy or wisdom to you? This entry was posted in Life Philosophy, Renewed Thinking. Bookmark the permalink.